9 Comments on Looking for innovation superstars? I had brekky with a friend of mine this morning & amongst other things, we were talking about finding talent. He’s always on the lookout for people, I’m on the other side of the fence & always on the lookout for new freeelance opportunities. There’s a lot of people hunting for innovation consultants, innovation talent, researchers etc at the moment in Sydney. The market is abuzz with movement. People are moving around, everyone wants to know who’s free, who might come where & who’s looking for what. Anyway, this friend & I were talking about how innovation companies themselves are often not that innovative [ironically] when it comes to hiring. 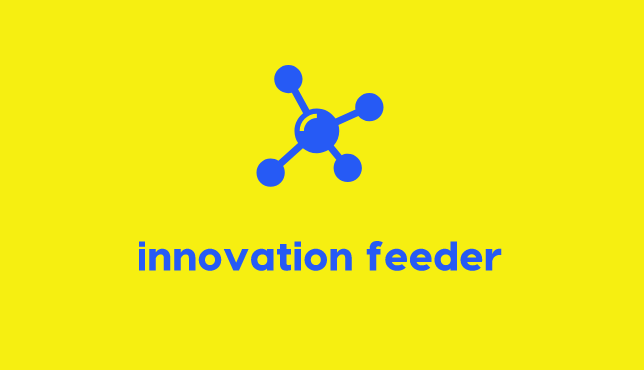 How they can talk innovation & have theories on innovation but when it comes to hiring practices, recruiting talent & looking for new blood, often their approach can be anything but. As I was pondering this post-pancakes, I came across a couple of articles that speak to this topic brilliantly. So rather than bang on & paraphrase, I’ve just posted them here. Enjoy. “Do you know this person, is it you?” – This post was take from David Meerman Scott’s blog WebInkNow, a brilliant read if you haven’t checked it out before. He’s posted a sort of job description for companies looking to hire people who get the new rules of marketing & PR [the idea for this came from Jeff Ernst, VP marketing at Kadient – David is on the Kadient board of directors]. 1. You’re curious about new things and always try stuff like Skype, Second Life, Twitter, Ryze, XING, digg, and reddit early. But you are busy and there is so much to do so you don’t keep up with the things you try (like Second Life for example) and you don’t feel the least bit guilty when you leave a network. 2. You know that the bosses who tell you that ROI and leads and clipbooks are the most important measurements are dead wrong. To prove it, you are building up evidence that the things you’re doing outside the traditional stuff — like commenting on blogs, focusing on the phrases people use to search and tossing out a few online news releases — are beneficial. But its tough because you really have two jobs — a full time role in new marketing that you know is the way to go, and a full time role with the traditional crap to keep your bosses happy. 3. You don’t “go online” and you don’t “use the internet” because your physical life and virtual life are one in the same. 4. If you are located in the US, you follow the presidential election, but do so online and salivate at the thought of investing the sort of money that the candidates are spending on TV ads to implement a bunch of cool initiatives.Does this sound like you? If so, you’ve got an amazing career in front of you. Got something to add to the job description? Please add other thoughts to this ongoing riff. Looking for a job? Maybe post a comment here with a link to your blog or Facebook page and someone in a cool company will find you. So following in the vain of attracting top quality talent [or conversely, getting yourself out there to top quality employees] I also offer you this post from Anna Farmery who writes a blog called The Engaging Brand which is one of the best blogs floating around out there exploring & commentating on social media. A top read that Servant of Chaos put me on to so thanks Gavin. 3. Use social media on your site – For example, an interview from a board member to say why talent is at the core of strategy, a video of the environment. 6. A podcast helping recruits to understand how to build a career from leaving college/university. 7. As with Microsoft, encourage blogging from within to show the talent, to show the openness, to engage with future consumers of your employer brand. 8. Use networking sites such as Linked In, Facebook to find talent. And finally, I offer you my third & final ‘borrowed’ posting. This time from Amelia Torode who took her search for a ‘T-Shaped Planner’ to the blogasphere. I want to talk with “T-Shaped people” (people with a good broad overview of brands and communications but with a deep digital centre of gravity) It’s important to me that digital is not seen as a separate entity, but as part of a wider comms plan. I am looking for planners who can come and help come make incredible work and shape the future of VCCP. That’s it, sales pitch over. So if you’re a company who is genuinely looking for innovation superstars, people who think differently, people who aren’t like everyone else, doesn’t it make sense that you need to look outside the normal recruitment / corporate channels to where these people might be found? I once came across an Aussie company that hired ‘rogues that didn’t belong anywhere else’, the irony was that most of these ‘corporate rogues’ came via recruiters from fairly mainstream jobs in similar industries. Don’t get me wrong there’s no problem with that, many got tired of corporate life & were genuinely seeking new ground to play with their innovative minds. My point is that when you’re genuinely looking for difference, you won’t always find it in the same channels. Take that one step further . . imagine what you would find if you looked in a different playground . . .
What if . . you could never use a mainstream recruiter to find talent again? What if . . you couldn’t poach people from other companies? What if . . you had no ‘friends of friends’ to provide you with contacts, what would you do? What if . . you had to find these people online? What if . . you only hired people who actually did what they consulted about? if you want to consult about innovation, then what innovation have you done? If you want to consult about ideas, then where are your ideas? What if . . you looked in different places to find different people? My job is to find talents (freelances), and the best way to find people is to be connected to their networks. spare time . .what’s that? . . I agree it would be great to have a recruiter who matched specialised freelancers with companies, a recruiter who understands the specific niche skills of freelancers and doesn’t lump them all into the same bucket of marketing or advertising or facilitation etc . . . Even better Jen, why don’t you start a recruitment company specialising in matching businesses with the right freelancers. Having recently arrived in the freelance space, I realise how much value you get from people who understand that there job is not just to ‘turn up’ each day. You do have spare time right Jen …? I agree that it’s one thing to provoke a situation and another to create lasting value, however I think there’s a role for both provocation & problem solving and they’re not separate, they’re parts of the same process. A strong strategic person should be both, because a creative approach should influence the entire process from exploring & interrogating an problem, to researching / planning & developing a strategic framework for a solution.It’s often through ‘provocations’ that we push our thinking further to find new ways to solve a problem but provocation without a solution means nothing. You want people who can approach objectives from a wide range of perspectives, who have a wide arsenal of brainpower & lateral thinking at their disposal, who understand when to provoke & when & where to find real solutions, and you want people who are going to be able to do that as creatively as possible. I guess my point is that there are a lot of ‘provocateurs’ as you call them & a lot of ‘problem solvers’, but how many who strike the right balance between the two & offer a genuinely unique way of thinking? And if that’s what you’re after, then the million dollar question is, where do you find them & and how do you use them? It is a fine line between the folks who are provocateurs and those who are revolutionaries. One can provoke a situation but the one who follows it through creates lasting value. My top tip for recruiting top talent is to make the application process fun and challenging. A while ago, I was trying to recruit bright ‘self starters’ to the creative strategy company where I worked. We decided that a self starter wouldn’t need to be provided with boring details like the name and address of the company, so we ran a press ad with the line ‘Bright young thing required’ the company logo. And nothing else. Within 48 hours, we had received 400 high quality applications!